A broad coalition including Google, Mastercard, Microsoft, ISPs and anti-piracy organization Rights Alliance have signed a Memorandum of Understanding on the issue of online infringement. The agreement, which is the result of efforts by Denmark's Ministry of Culture, will see the companies working together to defeat piracy, promote legitimate content, and make the Internet a safer place. While action against online infringement takes place on many levels, parallel large-scale initiatives with broader aims are increasingly being employed by entertainment industry companies. Outside of “three strikes” style programs, “follow the money” is perhaps the next best well-known. This type of initiative, carried out with the assistance of big brands, advertising companies and payment processors, aims to strangle the finances of ‘pirate’ sites. As seen last week, there are also tandem efforts to portray unauthorized sites as “unsafe” places for netizens to frequent. 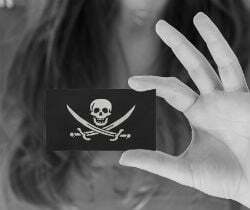 The overall message is that pirate sites are run by criminals, consumers should not support them, and money is best spent with legitimate content providers. Denmark has become the latest country to embrace these ideals via a Memorandum of Understanding titled ‘Code to Promote Lawful Behavior on the Internet’ signed by some of the world’s biggest online players. Google and Microsoft are the most recognizable international technology signatories and all the big Hollywood studios make a proxy appearance via anti-piracy group Rights Alliance. Broadcasters and cinema companies are also represented. The interests of more than 40,000 composers, songwriters and music publishers are served by rights group Koda and payment companies including MasterCard and Diners Club are also on board. Local ISPs have signed through the Tele Industrien group. According to the Ministry of Culture the MoU represents the beginning of a collaborative mechanism designed to tackle digital challenges on five key issues. 1. To help make the Internet a safe and legal platform for consumers and businesses. 2. To stress that copyright is an important cornerstone for growth and innovation. 3. To work together to reduce financial crime, based on copyright violations. 4. To work together to promote the dissemination of legal products. 5. To contribute to efficient processes that can help to reduce copyright violations and associated crimes. In keeping with voluntary anti-piracy initiatives currently underway in other countries, signatories will also participate in discussion aimed at identifying new areas of cooperation. 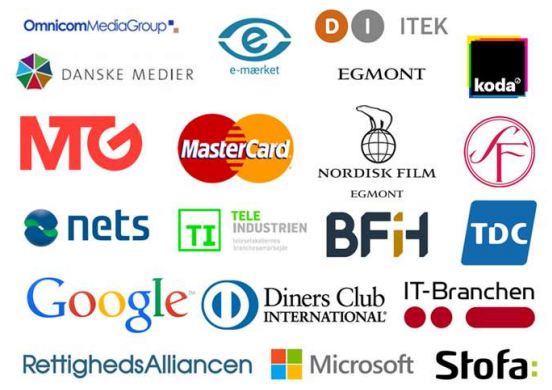 The shape of this Danish initiative looks familiar, with rightsholders applying the pressure and search engines, ISPs, payment processors and advertisers falling into step. While the emphasis is on consumer safety, it is clear that companies are being advised to do everything they can to disassociate themselves from “criminal enterprises” on the Internet. As part of the MoU, signatories agree not to “finance criminal activities” by offering support of any kind including giving them “exposure”, providing advertising revenue or payment processing services. “The companies and organizations that are part of this Code want to counter that their companies are associated with economic crime, based on copyright violations,” the code reads. In a statement announcing the signing of the MoU, the Ministry of Culture stressed the aims and importance of the broad agreement. “The code reflects a common desire to make a determined effort to ensure that the Internet is a safe and economically sustainable marketplace. It will help to create better conditions for growth and innovation for legitimate businesses and security and transparency for the users,” the Ministry said. Time will tell how far each signatory will be prepared to go and on what basis, but the companies involved are the biggest players around and having them all at the same table will be a powerful tool.